As part of a nationwide public opinion poll released by PILDAT on the Quality of Democracy 2014-2015, respondents were questioned on the performances of the National and Provincial Assemblies, during the second Parliamentary year. The Approval Ratings of the National Assembly and the four Provincial Assemblies on various aspects of their functions are displayed in the figures below. The KP and Balochistan Assemblies received positive Approval Ratings for the attendance of the Leaders of the House at 60% and 56%. KP is up by a significant 32 points while Balochistan’s rating has fallen by 6 points. The CMs of the Punjab and Sindh have both missed the 50% mark. CM Punjab’s Approval for attendance has fallen by 10 points to 41%, and CM Sindh’s Approval Rating has fallen by 13 points to 33%. There was no session of the Lower House during the month of October 2015. The 25th session of the National Assembly of Pakistan, which was originally scheduled for October 26, 2015 has been further postponed and is scheduled to begin on November 06, 2015, leaving a gap of 83 days. The 24th session of the National Assembly had prorogued on August 13, 2015. Legislators and Government officials are fully aware that as per the Rules of Procedure, bills submitted by the Senate or vice versa must be approved within 90 days. PILDAT advises that there should not be such a long gap between the sessions of the National Assembly as it acts as an impediment to legislative work of the Parliament. The sub-committee of the Parliamentary Committee on Electoral Reforms (PCER) met on October 20, 2015 and reached a consensus to make mandatory the holding of Local Government elections within 120 days on the expiry of the tenure of Local Governments. The Speaker of the National Assembly, Sardar Ayaz Sadiq, MNA, had constituted the PCER on July 23, 2015 to evaluate shortcomings of the previous electoral process and make recommendations to hold fair and transparent elections in the aftermath of the controversial May 2013 General Elections. The PCER was supposed to make recommendations for the electoral reforms within 3 months of its formation, unfortunately over a year has passed and these recommendations have not been made. PILDAT believes that it is unacceptable that even over a year later, the Committee is clearly unable to reach a consensus on major electoral issues in light of the fact a series of national bye-elections have taken place in the meantime. In the October 20, 2015 meeting, the subcommittee failed to reach a decision on the reduction of the constitutional tenure of the National Assembly from five to four years. The members decided to refer this to the PCER for a final decision. The members of the sub-committee also discussed the matter of increasing the general seats of the National Assembly. This issue was postponed by the Committee till March 2016, when the population census is planned. The Senate of Pakistan met for its 120th session between October 05, 2015 and October 13, 2015 for a total of 7 sittings. The attendance of the Members was 54% of the total membership.1 The Senate passed four bills consisting of three amended bills and the National University of Medical Sciences Bill, 2015. Senator Raja Muhammad Zafar-ul-Haq, PML-N; Leader of the House, attended 6 sittings at 86% of the total, while Senator Aitzaz Ahsan, PPPP; Leader of the Opposition was present for 5 sittings at 71%. The Senators enthusiastically discussed key areas of concern faced by the Pakistani public including the recent billing irregularities in the NEPRA Report, the Nandipur Scandal and the increasingly tense Indo-Pak Relations. The Opposition even staged a walkout of the Senate on October 13, 2015 over the Government’s response to alleged changes in the China-Pakistan Economic Corridor route (CPEC) and the handling of the Mina stampede. Corruption and lack of transparency by legislators and public office holders continues to be a major grievance for the citizens of Pakistan. This concern surfaced in the Upper House of the Parliament during a debate after the Senate Committee on Law, Justice and Human Rights introduced a report on ‘Corruption in Federal Government Departments’, which proposed a plan to eliminate corruption from within Government departments. The Committee recommended the creation of an autonomous single Anti-Corruption Agency to inspect for corrupt practices in Government. The Chairman of the Committee, Senator Muhammad Javed Abbasi, PML-N, stressed the need for a mechanism whereby the common man can access Government documents with ease. It is PILDAT’s contention that creating more laws and institutions is not as viable as strengthening existing institutions and legislations. In particular, the Government and legislators have held back on the introduction and passage of the national Right to Information Bill, which has been pending for nearly 2 years. Senator Babar remonstrated that the draft law had been finalized by the Senate Committee on Information nearly 20 months prior to the debate and has still not been tabled. Indeed, it is disgraceful that despite over a dozen Cabinet meetings since the approval of the draft law by the Senate Committee, the RTI Bill has still not been reviewed for submission to the Parliament. Both the Punjab and Khyber Pakhtunkhwa Assemblies have passed their Right to Information laws while the Parliament delays further. The Members of Senate unanimously passed the State Bank of Pakistan (SBP) (Amendment) Bill 2015. A new section on ‘Regulatory Powers has been introduced in the Act in order to provide explicit powers to the SBP for issuing directives, imposing and recovering penalties which are already being exercised under the Banking Companies Ordinance 1962. The role of SBP has also been strengthened by substituting the Federal Government’s approval wherever required with the approval of its Board. PILDAT believes that the passage of the bill is a positive step as a number of the practices followed by the SBP were as per the Banking Companies Ordinance 1962 and the Bank (Nationalization) Act, 1974, and have now been given legitimacy under the amended Act. The Provincial Assembly of Balochistan met for it 21st session between October 01, 2015 and October 12, 2015 for a total of 5 sittings. Seven bills were adopted by the Assembly, of which noteworthy is the Defence Housing Authority Bill, 2015, unanimously adopted to provide for a housing authority in Quetta. The Provincial Assembly of Balochistan is into its third Parliamentary year and remains the only legislature in Pakistan that has still not managed to formally elect all the Chairpersons for its Standing Committees. 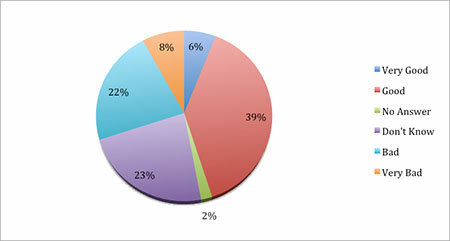 While a number of Committees have begun to meet, 4 out of the 14 Standing Committees are still without Chairpersons. This is a major fault with the Assembly as one of the main functions of legislators is to oversee the performance of the Balochistan Government departments through Committees. PILDAT recommends that the Rules of the Assembly be amended so that it is mandatory to elect all Chairpersons within a set period of three months from the oath-taking. The Standing Committees must also be granted suo moto powers to meet and they should also, though an amendment to the rule, be empowered to call meetings without specific orders. The Provincial Assembly has still not filled the vacancy for its Speaker. 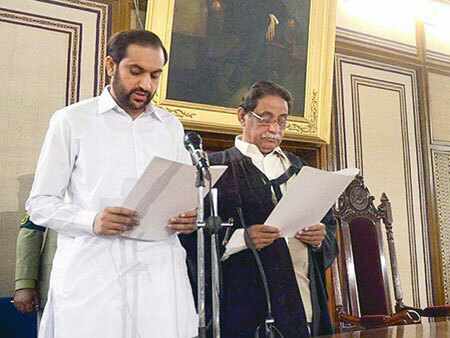 Mir Jan Muhammad Khan Jamali, MPA, (PB-25, Balochistan, PML-N), resigned from the post five months ago on May 23, 2015, and Mir Abdul Quddus Bizenjo has been Acting Speaker since. Rule 10 of the Rules of Procedure state that in the event of a vacancy, a Speaker must be elected “If the Assembly is not in session, at the first meeting of the next session.”3 Unfortunately, the 19th, 20th and 21st sessions of Balochistan Assembly have come and gone and the legislature continues to violate its own rules by not filling this crucial post. The 15th session of the Provincial Assembly of Khyber Pakhtunkhwa has officially lasted one year as of October 2015. This long session coincides with the fact that on October 15, 2014 the Deputy Speaker, Mr. Imtiaz Shahid, MPA, (PK-39, Khyber Pakhtunkhwa, PTI) resigned from his post and one year later this post is till vacant. Over the course of the 4 sittings held in October 2015, the Assembly passed 2 bills: the Khyber Pakhtunkhwa Canal and Drainage (Amendment) Bill, 2015, and the Khyber Pakhtunkhwa Journalists Welfare Endowment Fund (Amendment) Bill, 2015. While, the KP Assembly has made great strides towards transparency and accountability, in particular by being the first legislature to pass a Right to Information law, it remains one of the three legislatures along with Sindh and Balochistan not to upload the attendance of individual members online.